A friend is not just a better soul, he/she is the one who always pray for the wellness and happiness of the bestie. Good friends are like mother, they always care for you. 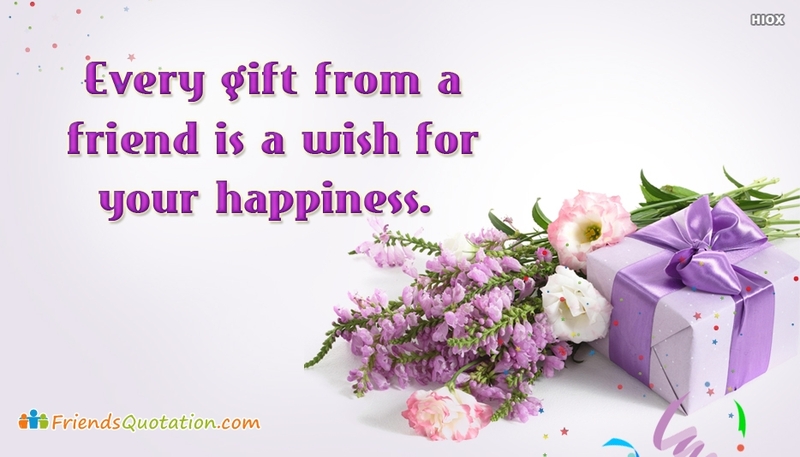 The quote "Every Gift From A Friend is A Wish For Your Happiness." shows how much you value your true friend.